Hello everyone: I have a very quick card to share with you for the CAS(E) this Sketch! challenge, here is my card. I love this sentiment, it's old and I think I got it at Hobby Lobby in the bargain pile, it describes how I approach certain challenges in my life, I'm patient and willing to try just about anything at least once. I stamped this sentiment on a panel of Ninah Solar White card stock and then, die cut it with one of the dies on the Spellbinders Nestabilities Decorative Labels 8 , then placed a light pink piece of card stock behind it and returned it to the panel like a puzzle piece. I put a few Rhine Stones and those ballerina slippers I found in my stash of embellishments. Here is the banner that inspired this card. I hope you like it, it's very simple but I really like the way it turned out. Thank you for visiting, till next time, happy stamping. 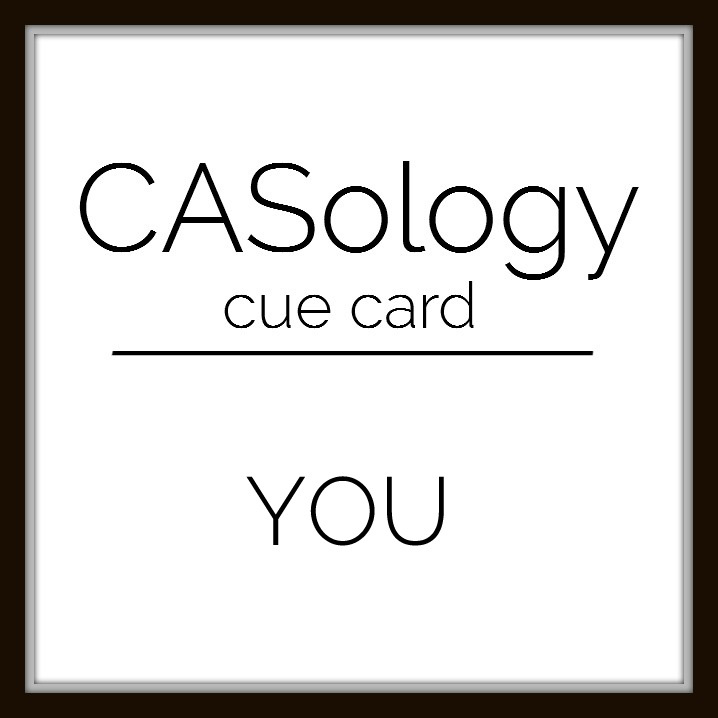 Hello everyone: I have a very simple card to share with you today for CASology, the Cue Card for this challenge is "YOU". There are lots of ways to interpret this word and this is one of them, here is my card. I used a beautiful butterfly from a stamp set called ''Beautiful Spring'' from The Crafts Meow, that my dear friend Patti Willey gave me as a gift. This card is made with a combination of elements from different stamp sets, including the sentiment from a Power Poppy acrylic stamp set called Short Stacks and the beautiful frame from a retired Flourishes stamp set called Country Charm Labels . I stamped the butterfly on Vellum with Versa Mark ink and heat embossed it in white, then I colored it with my Prismacolor pencils in Violet (PC932) and Parma Violet (PC1008) using a technique I saw the amazing Marika Rahtu do on THIS beautiful card. I gave the butterfly wings a bit of highlights with my SU Elegant Eggplant marker. I stamped the sentiment using the Elegant Eggplant marker and the frame was stamped with SU Wild Wasabi ink. This is the Cue Card that inspired this card. I hope you like this card. As always, I thank you so much for stopping by and for your comments. If you have a question, I'm here to help. 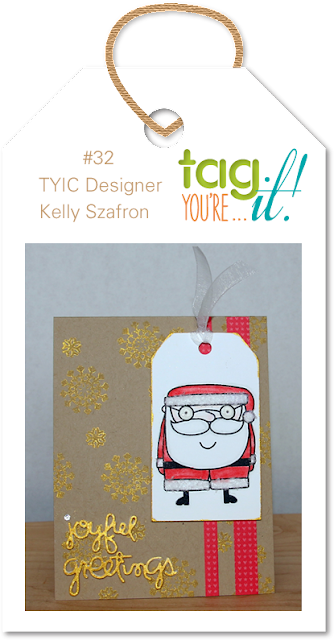 Hello everyone: I have a card/tag to share with you today for theTag You're It! challenge #32, here is my card. This card was made with a beautiful but sadly retired, SU stamp set called "Forest Festivities", this Santa image is one of the 5 adorable images that come in it, they are the perfect size for a tag. I stamped the image on Canson water color paper with Stazon Jet Black ink and colored it with the aqua painter and my SU markers in Forest Green, Real Red, Sahara Sand, Tempting Turquoise, Real Rose and Basic Black, I used a teeny tiny bit of Baked Brown Sugar for the little mouse. Here is a close up of Santa pondering about my Christmas list, wondering if I've been Naughty or Nice, what do you think, eh? He looks like he is a bit puzzled but I promise you, I've been nothing but nice. The pretty pattern paper is from Hobby Lobby, I just love this beautiful Christmas ornaments, they look Vintage to me, specially with the soft creamy color in the background. I want to thank you for stopping by and for your comments, if you have any questions, I'm here to help. Till next time, happy stamping. 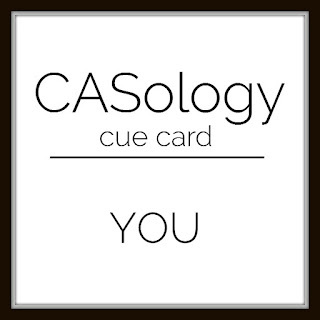 Hello everyone: I want to share a card with you today that I made for Can You CASE It? Halloween Challenge, here is my card. This image is from Kraftin Kimmie and it's called Fred and Ginger , she just fainted in his arms out of pure ''excitement'', LOL!! I stamped the image onto Canson water color paper with Stazon Jet Black Ink and colored with SU markers and the aqua painter, I used Basic Black, Real Red, Elegant Eggplant, Sahara Sand (for Dracula's ashy face), So Saffron, and a bit of Hello Honey for the moon. I sponged some Memento Tuxedo Black ink all around the image, to give it a dreary look. This is a fun and simple card and I hope you like it. This is the banner that inspired this card. If you have any questions please do not hesitate to ask me. Thank you so much for visiting and for your comments, till next time, happy stamping. 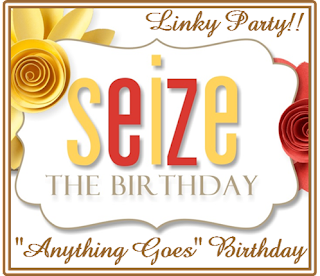 Hello everyone: Today I have a card to share with you for a first time participation on the Seize the Birthday challenge, here is my card. This image is part of a kit from Unity Stamp Company and it's called Hey Girl , it has about 20 images and sentiments that are really girly and pretty. This time I colored it with my Prismacolor Pencils, paper stumps and baby oil, a technique I really like. Here is a close up of the balloons, the ones with the hearts have some Dazzling Details in them. The little birthday decorations are party confetti that I bought at the pharmacy one day, I love all of this cute hats and balloons and the "Happy Birthday" greetings, I can't imagine throwing this super cute decorations away. I want to thank you for visiting my blog today. If you have any questions, please do not hesitate to ask, till next time, happy stamping. Hello friends: I've been having a lot of fun creating Autumn cards, can you tell? He, he. It's my favorite season of the year, I love the colors and the weather too. This time I made this card with the Altenew set called Persian Motifs and I'm linking it to the "Less is More" One Layer Card challenge , here is my card. Cherry Cobbler, Old Olive and More Mustard, I love this combination of colors for Autumn. I stamped the Gorgeous Grunge dots in SU Hello Honey. Here you can see the shine of the gold on each leaf and petal. The sentiment is from an old Flourishes set called "A Wreath for all Seasons". I want to thank you for stopping by, it's always so sweet to read your comments. Hello everyone: I have a card to share with you today and I'm linking it up to the "Less is More" One Layer/Autumn challenge and the LiveLoveCards October challenge "White Space", here is my card. This pretty image is from an old and beloved Flourishes stamp set called ''A Season of Thanks", it's lovely images are perfect for all things Autumn. I made another card using this set, you can check it out HERE and I plan to make one more using the last of the images on this set, the sentiments that come with it, have beautiful font and all of them are heart warming. As always, I stamped my image onto Canson water color paper with Stazon Jet Black ink and colored it with the aqua painter and this SU markers: Wild Wasabi, Pumpkin Pie, More Mustard, So Saffron and Cajun Craze. 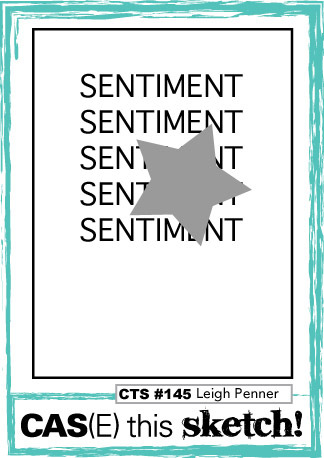 The sentiment was stamped with SU Hello Honey ink pad.